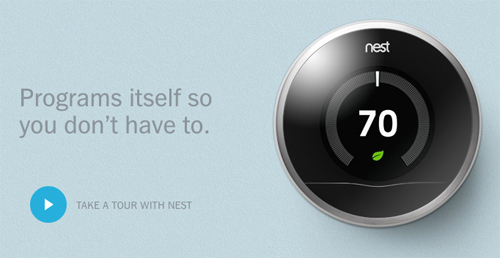 To get people to invest in Nest, we had to convince them to care about thermostats. And for good reason. Heating and A/C represent the lion’s share of home energy use – nearly 50%. It didn’t hurt that this one was being designed by Tony Fadell’s team. Next, it was a matter of explaining why Nest is smarter than any thermostat on the market. It learns from you and programs itself. It has the ability to save you energy and money. Win win. I worked with a strategist to come up with the content architecture for the site. From there, I wrote the majority of copy and honed the Nest voice in the process. 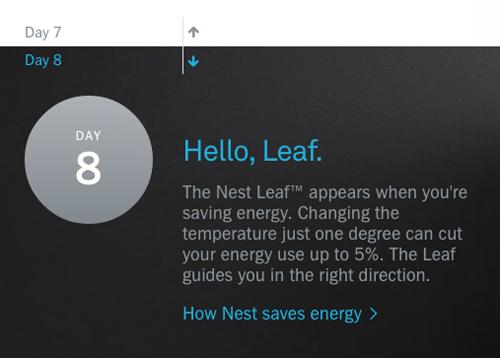 It resulted in a combination of storytelling, infographics, and consumer-driven features, all of which demonstrate what it’s like living with Nest and why it’s such an effective device.